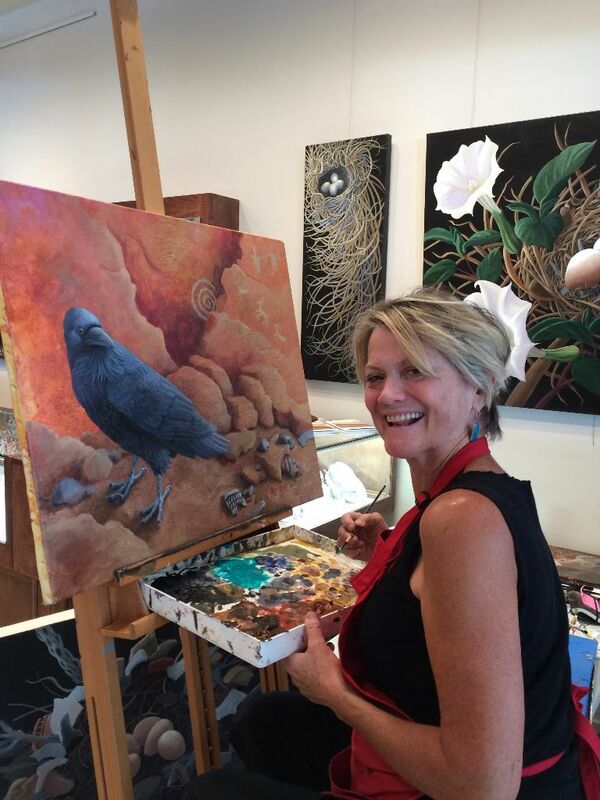 I spent three days painting live at True West Gallery in Santa Fe. It was a ton of fun, because I love sharing what I do, and also some sweet paintings found new homes. I am embarking on a new adventure! I’m very excited about opening a new creative haven and teaching studio in Santa Fe, New Mexico, where I can share creative processes with children and adults. Most of you know that I have taught art for many years at every educational level from Kindergarten to Grad school. And many of you also know that I ran my own studio school in Vermont for a decade, and after school programs before that. I’ve taught many different subjects from Art History, Drawing and Painting, to Clay, Figurative Sculpture, 3D design and lots more. I have a great studio now, but it’s TINY. Far from big enough to teach classes. So I’ve launched a kickstarter campaign to raise money so i can get started in the teaching studio. I need YOUR help for this to work! And there are only 29 days left! • There are some nice rewards for each category of contribution. • You won’t be charged unless Aartz West meets its goal. PLEASE JOIN ME! Become a partner in Aartz West!